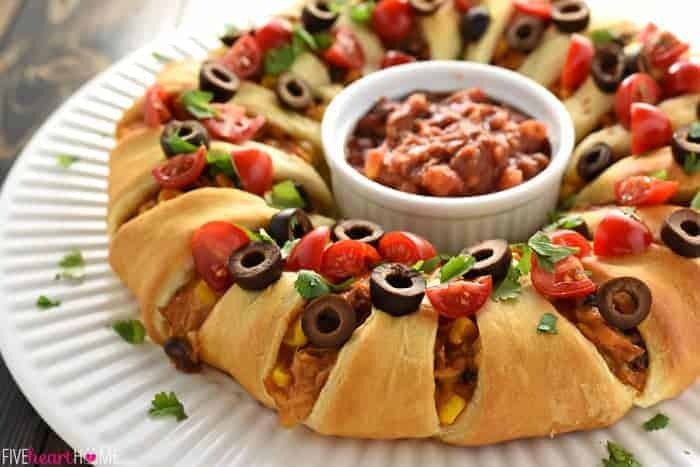 A Taco Crescent Ring is a tasty way to use up leftover chicken or holiday turkey, mixed with black beans, corn, & cream cheese, flavored with zesty taco seasoning, and wrapped in flaky crescent roll dough for an easy yet impressive appetizer or main course! 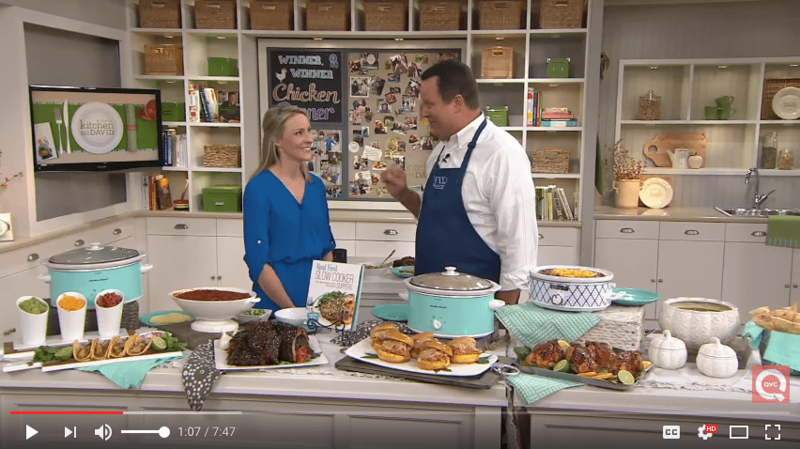 This evening marked the first time in several weeks that I didn’t serve a slow cooker meal for dinner…and I have to say, my kids seemed a little excited that I was firing up the oven for a change. 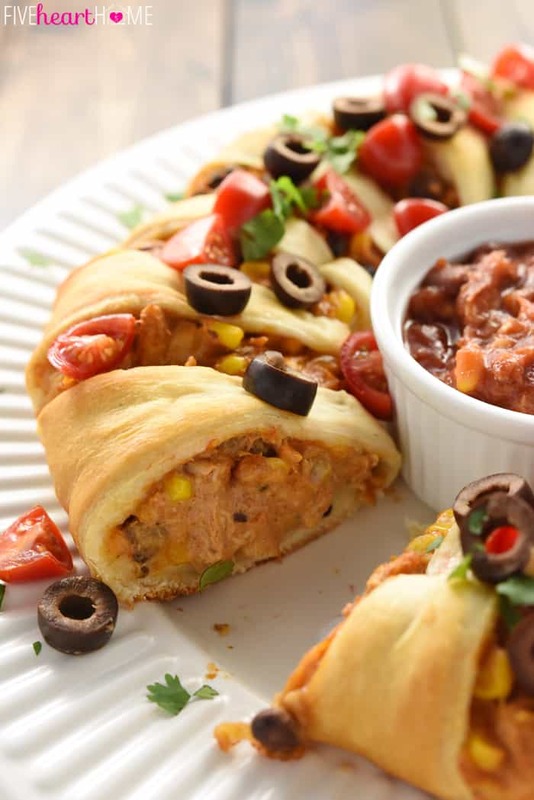 Little did they know, however, that the star ingredient in this Chicken Taco Crescent Ring came from the slow cooker — ha! Plus it wasn’t chicken at all…it was leftover turkey from a Thanksgiving crock pot recipe that I’ve been working to perfect for the cookbook. As a result, I have a lot of diced turkey breast destined for the freezer in the near future, so I decided to use up a bit with this new creation. Ahhhh, that one. Yep, he was totally right. 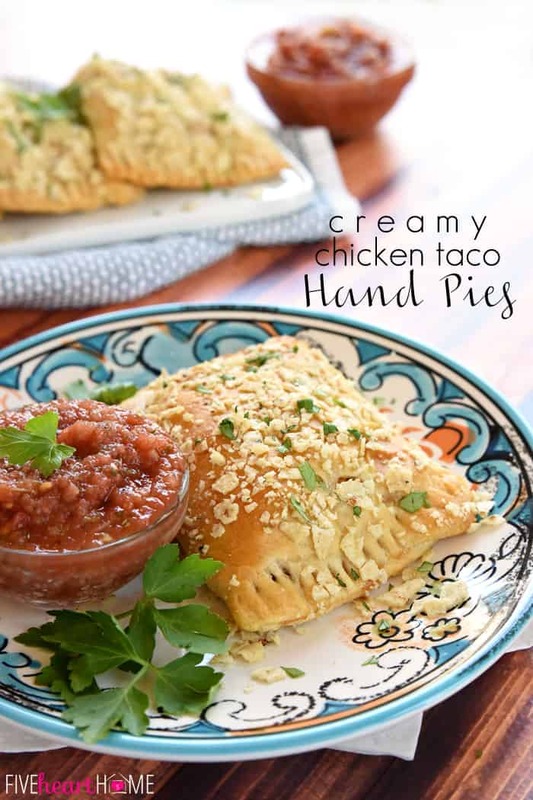 In my current state of being overwhelmed and sleep deprived thanks to my upcoming deadline, I’d completely forgotten that my Creamy Chicken Taco Hand Pies have a similar flavor vibe going as compared to today’s recipe. 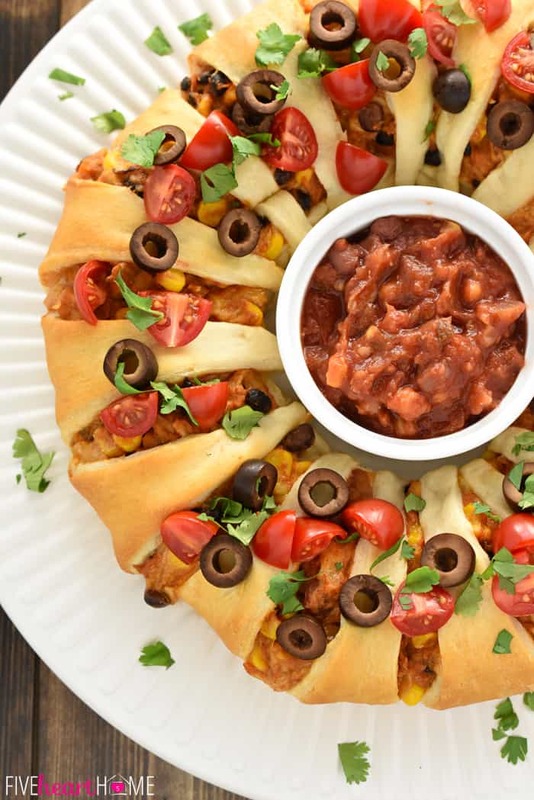 But with this Taco Crescent Ring, I incorporated black beans and corn along with the chicken…and let’s not forget the addition of cheddar cheese! A touch of cream cheese binds everything together, and then BOOM. Assemble that baby and count down the minutes until it’s baked. Isn’t she purty? And so, so tasty — truly — because in what universe do cream cheese and crescent roll dough not make anything delicious? And while crescent rolls are one of those convenience items that I like to keep in the fridge to lend versatility to breakfast, lunch, or dinner, I do try to stay as “real food” as possible and buy the all-natural version by the Immaculate Baking Company (and that’s not an ad…I just love that brand). Position rack in center of oven. Preheat oven to 375°F. 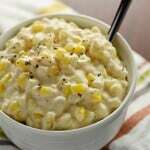 In a large bowl, combine diced chicken/turkey, black beans, corn, cheddar cheese, cream cheese, and taco seasoning. Mix until well combined. Open both cans of crescent rolls and separate dough into a total of 16 triangles. Set out a large pizza pan or baking sheet. With the long points pointing outward like sun beans, arrange the triangles so that their short sides form a 5-inch circle in the center. The triangles will overlap. 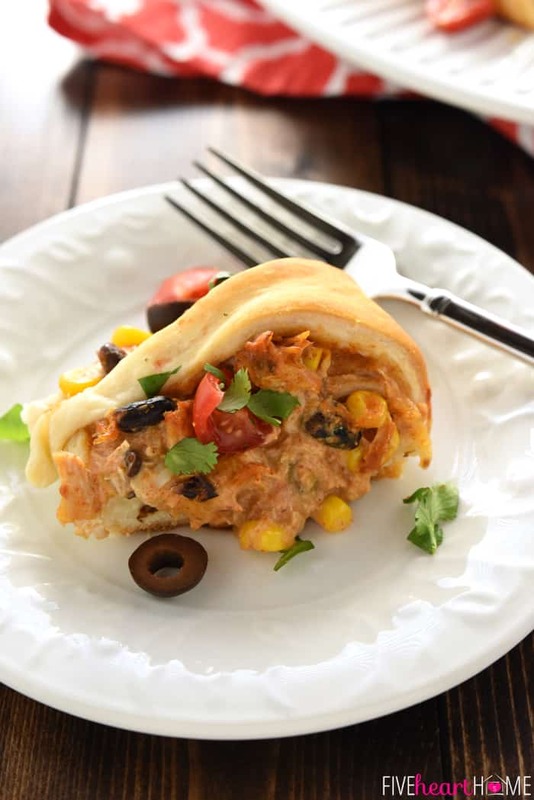 Use a spoon to mound the chicken/turkey mixture along the inner half of the crescent rolls. Then bring the outer point of each triangle down over the top of the chicken/turkey mixture and tuck the dough under the interior circle. 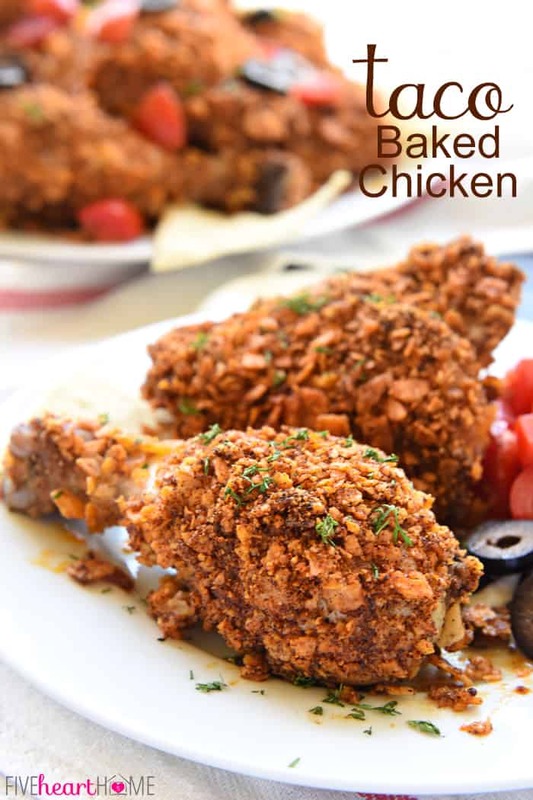 Bake for 20 to 25 minutes or until golden brown. 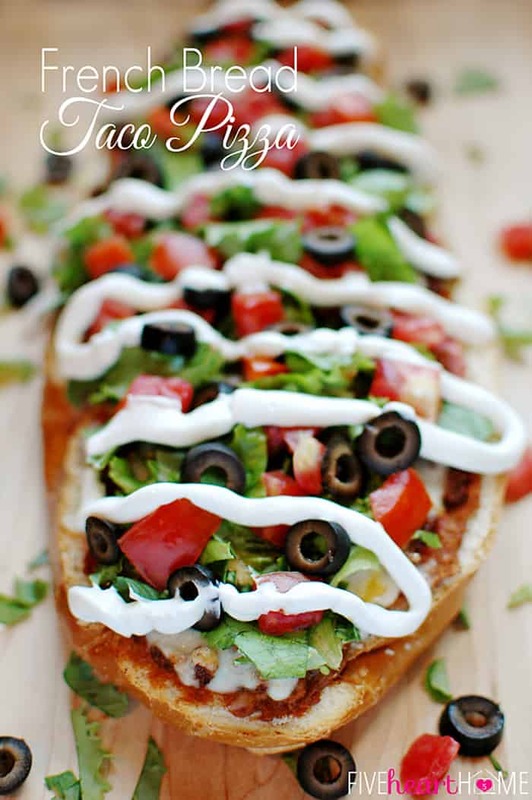 Allow to cool for at least 5 minutes before garnishing with tomatoes, black olives, and cilantro. Serve warm with salsa and/or sour cream. If the chicken/turkey mixture is too thick to mix, add a splash of water or salsa to make it easier to stir, but don't add too much or it will become runny and ooze out of the crescent ring while baking. When arranging the triangles, I keep them evenly spaced by laying them out like a compass...north, south, east, and west. Then I fill in northeast, southeast, southwest, and northwest. Then I put the remaining triangles in the 8 spaces between the first 8 triangles. You may mix up the chicken/turkey mixture ahead of time and refrigerate until you're ready to assemble your crescent ring. Just so happen to have left over turkey breast, hopefully mine turns out as Purdy as yours. 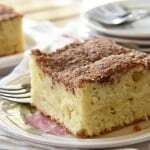 Looking forward to your C P cookbook, love that method of cooking and could use a fresher recipe collection. I bet your crescent ring will turn out perfect, Marilyn…it really is much easier to make than it appears. 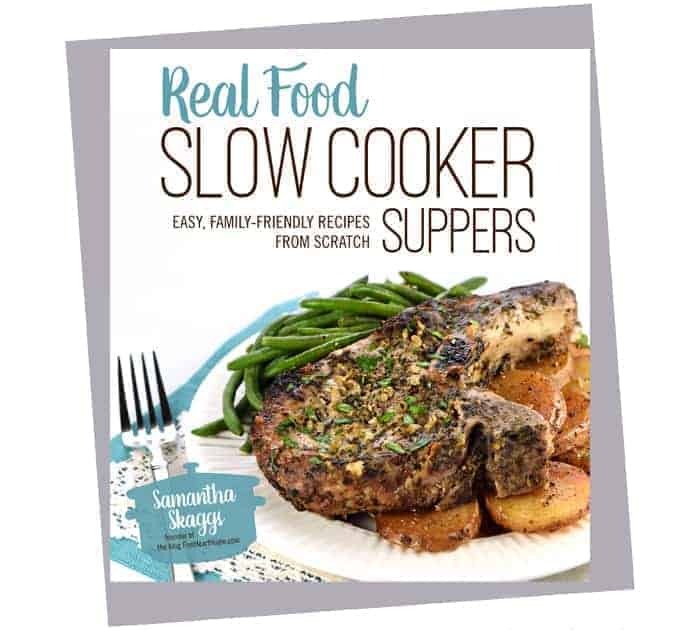 😉 And I’m so happy that you’re excited about my slow cooker cookbook! I’m working hard on it right now, but it won’t come out until next fall…although I know that will be here before we know it! Thanks for the comment and hope you have a wonderful week! I have so much turkey leftovers. I need to make this!! 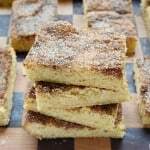 This recipe sounds so good!! 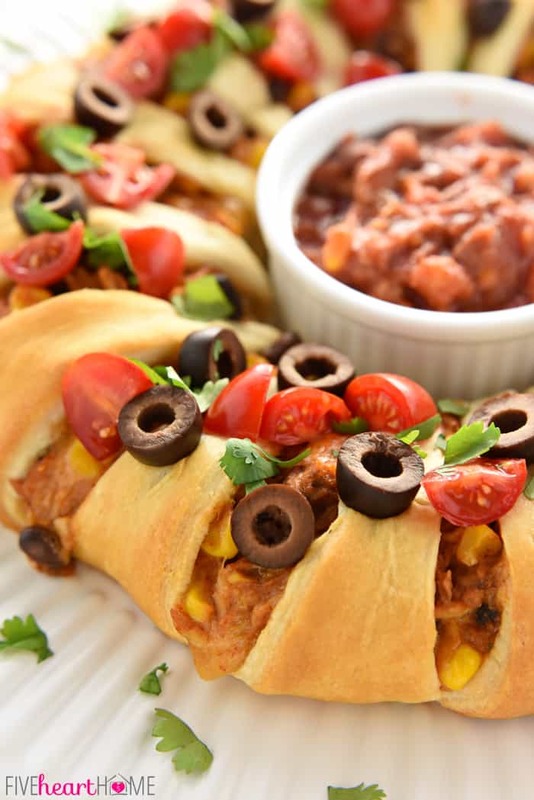 I love Mexican recipes – and plan to make this soon! 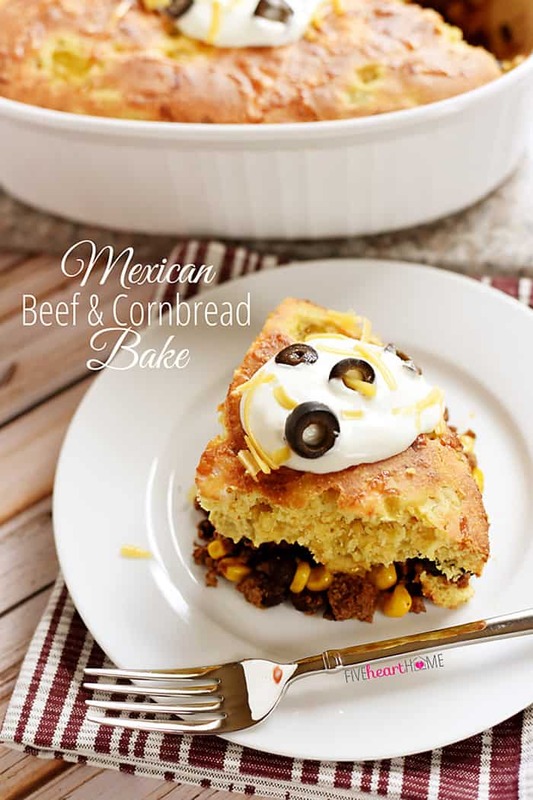 What a great way to use up the leftovers from Thanksgiving! 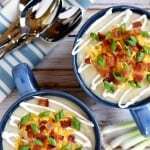 I am not such a fan of eating them over and over in the days following the holiday, and I get tired of using them in turkey pot pies, soups, and – wait for it – tetrazzini. Thanksgiving’s at my house this year, so I’m pinning this to deal with the leftovers next month. Thanks for this one! 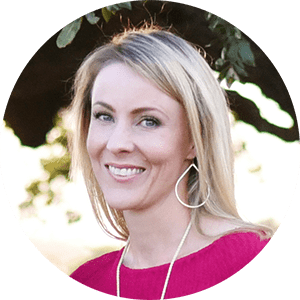 Ha, Jenni…turkey tetrazzini is the best! 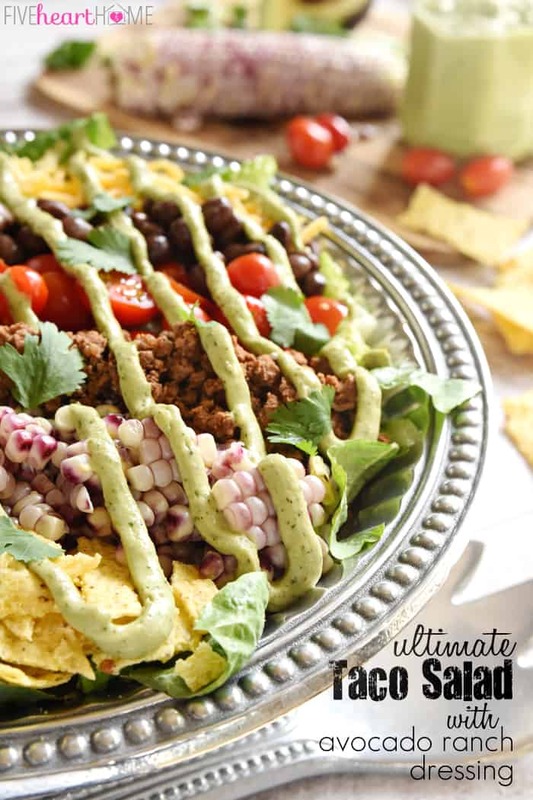 But this is a yummy way to use up leftovers as well. 😉 Hope y’all enjoy it, and hope your November is off to a great start! Anyone know if I can mix up the filling and freeze it for later? I’m worried about freezing cream cheese but hoping it would be okay in the taco filling mix. I’m leery of freezing cream cheese as well, Kendra, as it can separate or its consistency can change when it thaws. What if you prepared the filling with everything except the cream cheese? Then thaw the mixture, stir in some softened cream cheese, and proceed with the recipe from there? Just a thought…good luck! Can I use ground chicken for this? I have some in the freezer and I’m looking for a way to use it. Hi Amanda! Ground chicken should work just fine in this recipe. Just cook it first (which probably goes without saying 😉 ) and then measure out 1 1/2 cups to swap out for the leftover chicken/turkey in the recipe. Hope it’s a hit! So pretty! 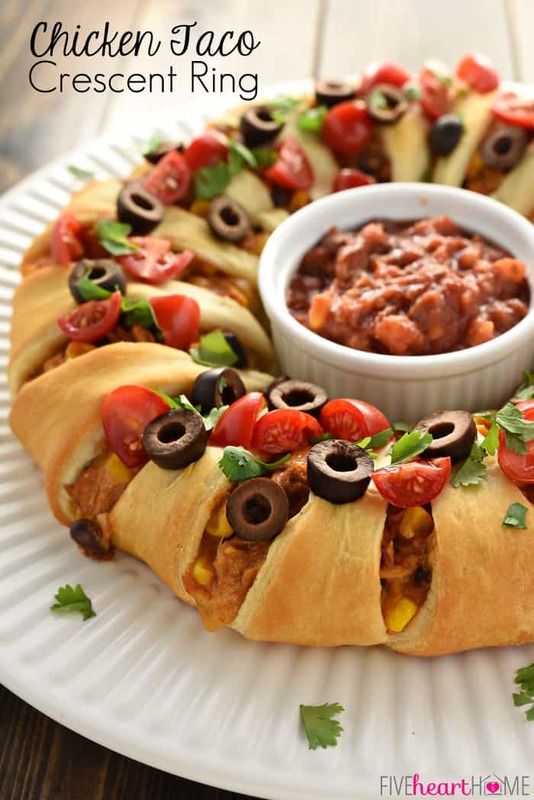 I will surely make this taco crescent ring for holiday parties. I just have one thing to say, I gotta have some onion either in the filling or green onions sprinkled on top, or both! Thanks for this idea.